Posted on Monday, August 25th, 2014 at 5:04 pm. 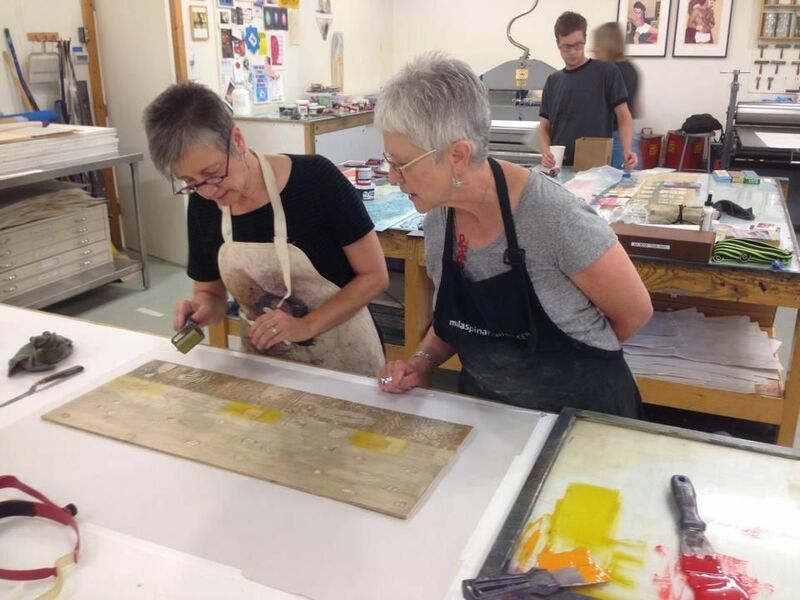 The large-scale prints of artist Karen Kunc are exhibited together for the first time in the new fall show Grand Scale, at Constellation Studios. 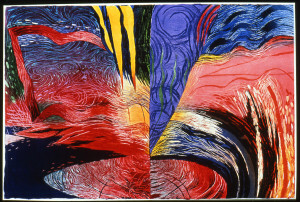 Created throughout Kunc’s career, these works encompass her abstract vocabulary of landscape sources, elemental forms, and evolutionary forces. that inspire sensory immersion. 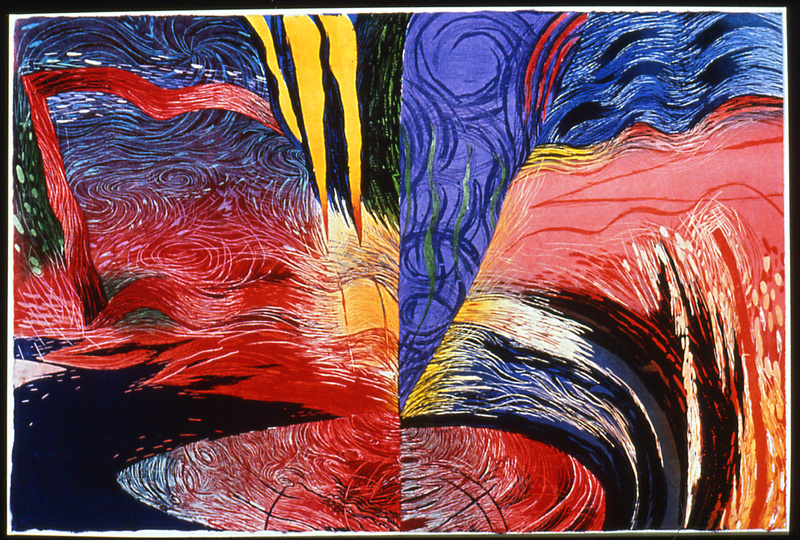 Executed in her signature color woodcut process, these prints possess graphic power, the resonance of physically demanding carving and printing, the effects of peripheral vision and perceptional color actions. 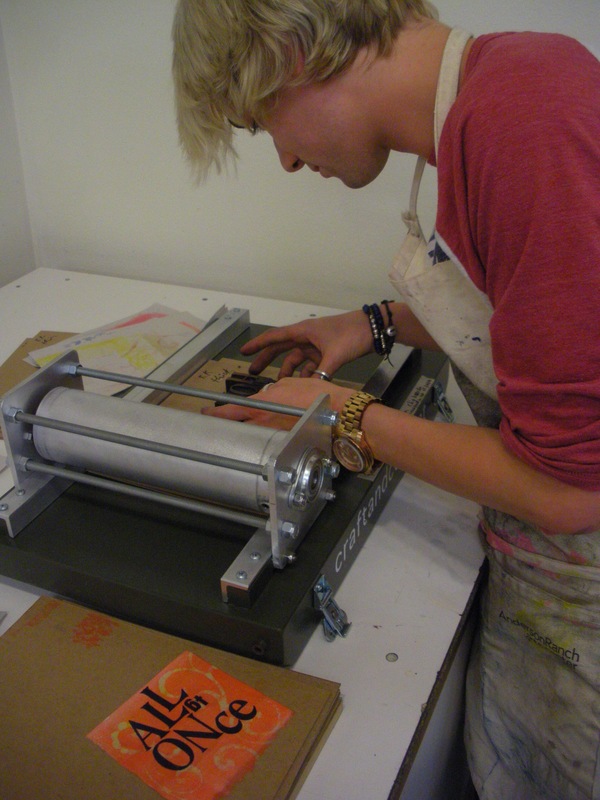 Great summer workshops – Thank you! Posted on Monday, August 18th, 2014 at 4:14 pm. I have enjoyed great teaching in workshops here at Constellation Studios and in my summer travels to Anderson Ranch Art Center and Penland School of Crafts. Thanks to everyone who made the experiences so rewarding and engaging! 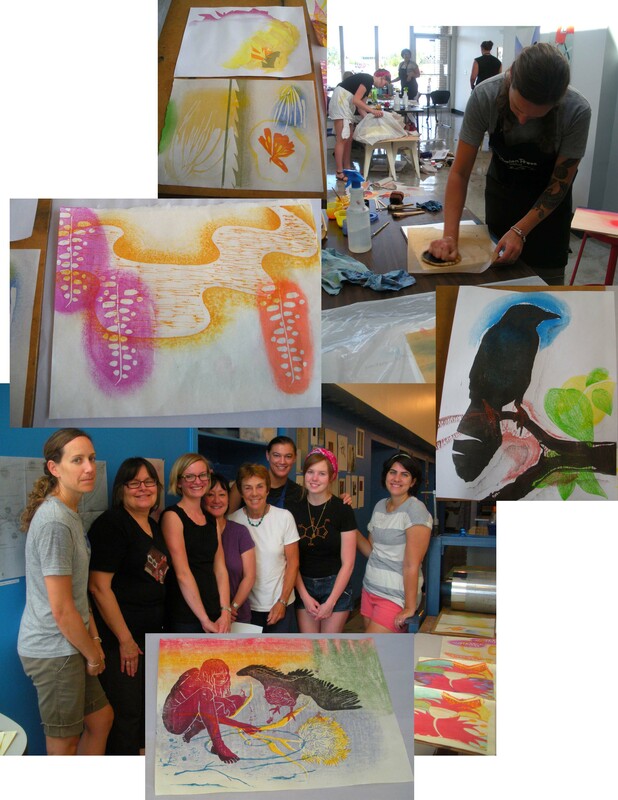 This week I taught the Japanese Mokuhanga watercolor woodblock printmaking method, and we all learned to balance the nuances of Ink, Water, Wood – how the paper held the color, the pressure from the baren, fine tuning our wood carving skills, and sharing space and success. The first week of August was beautiful in the Colorado mountains, where I was hosted at Anderson Ranch. My workshop on Text & Image to Book was very experimental with mixed print media and approaches. Presses were humming for woodcuts and collagraphs, along with movable type on the backpack SCOPE press. Beautiful books were made by everyone, expanding and gathering pages of stories, tributes, textures, word play.